I was looking at the issue of protection and surveillance in the space of general safety. What if we lived in a world filled with more danger than before – more paranoia and distrust than ever? The balance between overprotection and appropriate protection is an interesting line, and to imagine what the repercussions of overprotection would be brings out interesting implications. What if there was a doll with a surveillance camera, so that the child was being watched at all times in the home? 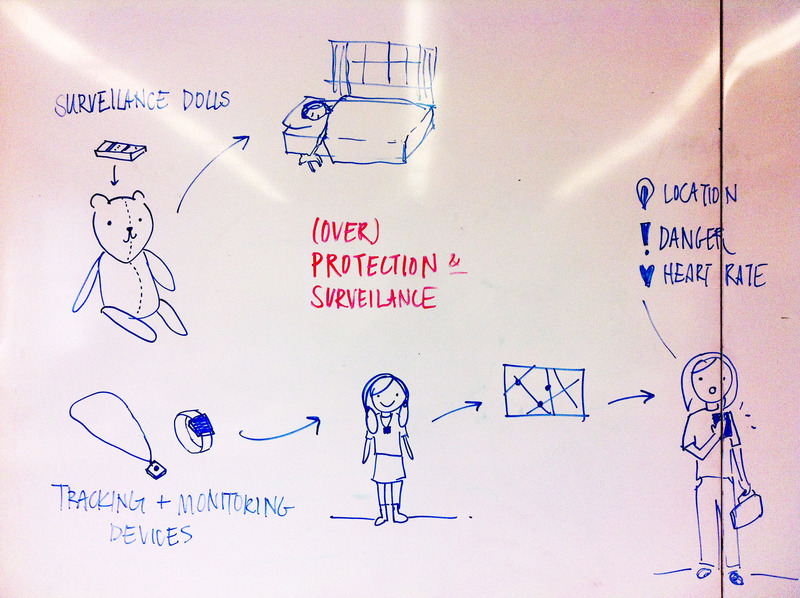 What if kids wore tracking and monitoring devices that linked to the kid’s biological information? This device would be linked to the parents so that they would know where their kid was, when, and what kind of physical state they were in. WHAT IF?